Today is the day - members of the Mockingjay - Part 2 cast and creative team took to San Diego Comic-Con's Hall H today to take part in a panel Q&A hosted by Conan O'Brien as part of the film's SDCC presentation! The presentation opened to the sound of drummers entering the hall, followed by the incredible "Stand With Us" propo clip, which was then followed by the cast as they were introduced to the stage. 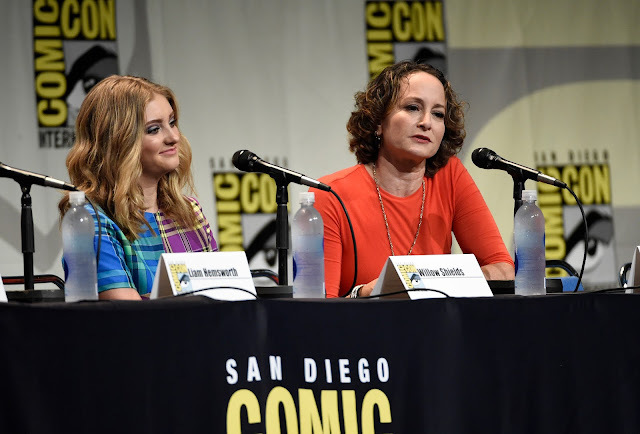 Following the introductions, the cast introduced the new full-length trailer, which is set to debut online and theatrically at the end of this month. Full trailer for Mockingjay Pt 2 shown - suitably epic and looks like it's going to be powerfully emotional. Much much bigger than Pt 1. Then, the questions! 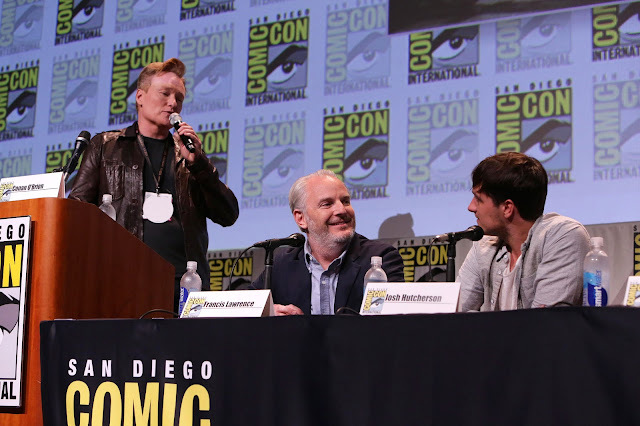 First, Conan began by asking questions given to him by Lionsgate. Next, fan questions were selected from social media. And finally, audience members lined up to ask their questions. The new trailer was shown one last time, and the panel ended. 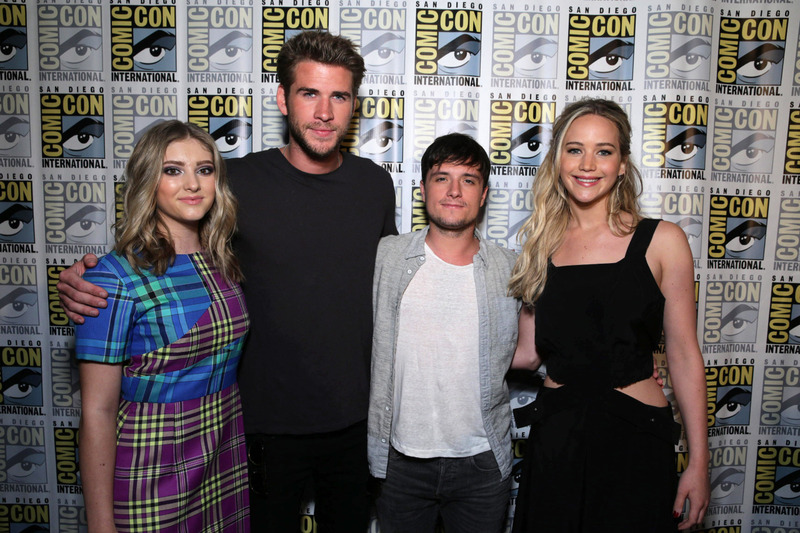 SDCC is far from over for the Mockingjay crew. 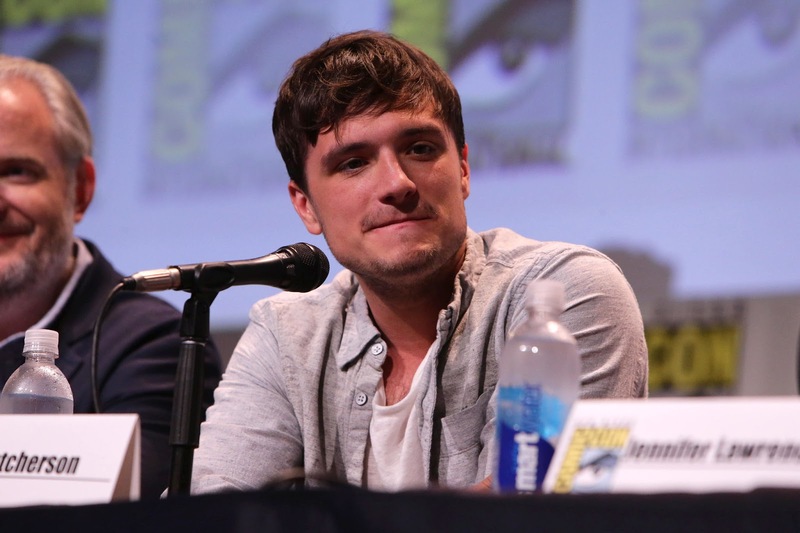 Interviews are being given to various press outlets, which should appear next week. 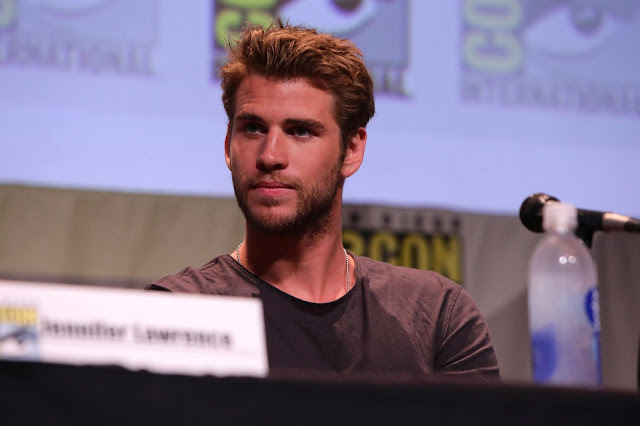 And of course, Jennifer Lawrence, Josh Hutcherson and Liam Hemsworth are set to appear on a special edition of the Conan show tonight at 11/10c! Check out more images of the panel in our Flickr album.